Today, I made trifle. I took the pictures to send them to my dearest sister. I am sharing those pictures on this blog too. 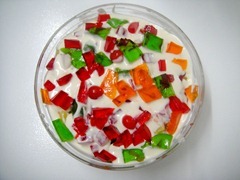 MashaAllah looks delicious and colorful !! After my mid-term exams, should I post the method of this? Might be I will also be cooking something today. I am thankful to you for your visit and I am thankful to your eyes for liking this post. 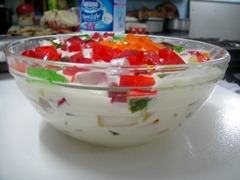 The trifle looks really delicious and refreshing too. I’m kind of making it soon and thank you for following my blog. When you make your trifle, don’t forget to share it. I will be waiting to see it. 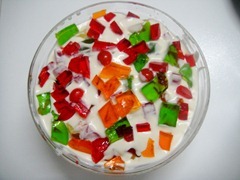 I hope that your trifle would be a lot better than mine. 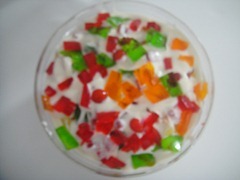 My Favorite Sweet , Nice ! Sorry for late reply. I almost abandoned this blog for a long time.